Recently, I have been doing a lot of felt-making, in particular Nuno felt. 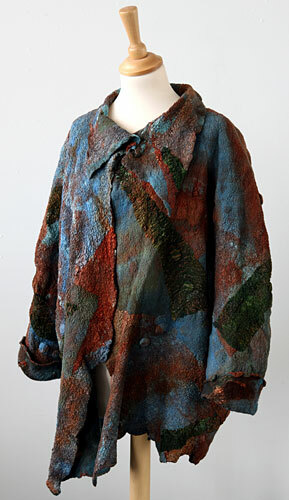 This Nuno felt jacket is crafted from hand-dyed merino wool, silk Habotai and silk Georgette which has been hand-dyed. 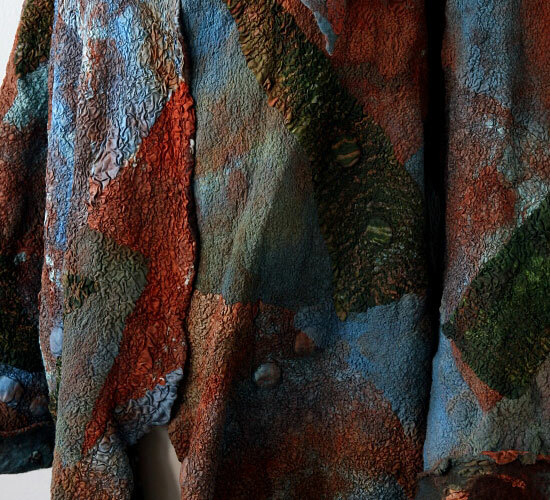 The colours are evocative of Scottish moorland and landscape. Commissions accepted.